The Russia World Cup 2018 was finished. France won the title of the champions and made additional one star at their badge, a symbol of winning the world cup. Talking about the host, Russia has a great story of the football in their country. Great story doesn’t mean everythings was good at the past. They have unique story that worth to know. 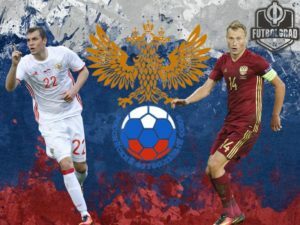 Everyone thinks its worth to know that this country has a long journey to go for making the best football competition for the Russia. I believe, no supporters across the country who come to Russia knows about the journey. Few people knows the history, and how they struggle to made this sports become one of the professional sports in their country. The world start to take their eyes to Russia when CSKA Moscow won the UEFA Cup in 2005. So what are we waiting for? this is 5 history of football in Russia that worth to know. It was all start by British workers who worked in Saint Petersburg in 1897. It just existed by the group of the British expatriate who homesick and waiting by the Petersburg docks for the crew or ships arriving from Britain to provide enough men for start the game. When the game starts, they were all happy and football was start to gain the reputation by locals. Not sure enough, but we do believe that football was founded by England. So its not a coincidence when Russia had a first contemption of football brought by the Britain. It takes time for Russia to make football become accepted like now. Form the past, this sports was acclaimed with “ bourgeois” sports, No good for the country. It was Arthur MacPherson, the Scotsman who transformed football from something that not really important into a national sport. 24 October 1897 , was the day of parade ground of the First Military and was the first ever match in the history of Russian Football broadcasted by the media. It was the match between St.Petersburg Circle of Lovers of Sports and the Vasiliyevsky Island football society. 24 October 1897 officially was the birthday of Russian Football. In 1901, Saint Petersburg Football Leauge was established, becoming one of the founding members of the All Russian Football Association. 1912, the All-Russian Football Association joined FIFA. The first football championship of St. petersburg were played in 1901, and one years later, the first national championships of the Russian Empire were held in 1912. Things were bad for the Russian at the World war 1, many famous players of the Russian were killed before or after the war. It forced Russian football to halt the development of the football. In the pre-Revolutionary era, many factories formed the teams to playing football. Not only for their health, one of the main reason for these was to prevent their workers by drinking vodka on weekends. The antagonist of this eras was the Orthodox Church, traumatic by the European pastime, become suspicious of possibly harmful influence for the locals. They were not good to see men running around in shorts. Remember Arthur MacPherson, the man who became the founder and the president of the All-Russian Football Union from 1912 – 1913? After the 1917 revolution, the tide were against the football. Clubs were seized and transformed into public services and tearooms. Arthur Macpherson was arrested in 1917, and two years later his body was found under the pile of 40 others in Moscow prison. Today, The Russian President, Mr.Vladimir Putin has raised a glass to his cemetery to honour a man who brought football to Russia only to be arrested by the Bolshevik secret police and left to die in a grimy Moscow Prison. In the mid 1920, the The pre-revolutionary football club were disbanded. Competition began held at all levels between team who formed by various factories and the government departments. This the time were Spartak,Zenit, Dynamo, and CSKA were formed. After the dead of the anti-bourgeois campaign, Soviet Government started to promoting the sports and football always have in their heart and form and entertainment for workers. Each government created its own team that will known for the history in Russian football history : Lokomotiv for the railway workers, CSKA from the army, even Dinamo Moscow, the most recognisable teams in Russia football , formed by the secret police. The government was not the only side who created the squad. One man set to shaking about the status quo, and in 1934, the day of the most successful club in Russia History, Spartak Moscow was born. It was the name inspired by the Spartacus, the rebel slave turned gladiator of Roman Legend , and was known by the “the team of the people”. Nikolai starostin along with his three brothers were the founder of the team, quickly became the greatest football stars of their day. If the rebel slave people success even beat the government, the big one was not happy and put them under the scrutiny of the highest power in the Soviet Union. They planned to make the brothers didn’t play football anymore. So, In 1942, the four stratostin brother were arrested and throwed to Siberia. They had been accused a plot to assassinate Stalin. The charges arrived suspiciously soon after their patron, head of the komsomsol youth organization Alexander Kosaren, falle out from the politic. However, things are not really bad for the older brother, Nikolai Stratostin. The guard at the labor camp to sent him was the Spartak supporters. He was given protection and even asked to organize prison football matches. Finally, after the personal order of Stalin’s football son Vasily, Nikolai was brought back to Moscow. After his political rehabilitation, Stratostin returned to Spartak as their manager, bring the team and the National team, onto a level playing field with the world. However, his less fortunate brothers stayed in the Gulag for their entire life waiting for their sentence. The 1950 and 1960 was a star for the Russia history. At the time, they have the best football players all the time for Russia. Lev Yashin, the best goalkeeper all the time, Igor Netto, Valentin Ivanov and Victor Pnedelnik propelled the Soviet Union to glory in 1960, when the national team won the Inaugural European Championships. This period is rightfully regarded as the Golden Age of Soviet football. 5. Supported by the Billionaire people. The Russia have many people who billionaire, yet have time to think where their should spent the money. The most recognable was the Mr.Roman Abramovich, who’s the one of the billionaire in Russia, supported by the oil company. He is the Chelsea owner, one of the top 4 club in Barclays Premiere League in British nation. If you have too many money , you need to invest in football club. And that’s how Russian billionaire thinks if they had. Beside Chelsea, Roman Abramovich had a deal to sponsorship in 2004 for CSKA Moscow. For Russian, Chelsea is like “their”, and when Chelsea wins, they feel happy because there are Russians who support the club for the win. Well I think that’s the 5 history of football in Russia that worth to know. How about your country? Do you have something to tell?